Wn20 Quineville Bourg, K.V.U.Gruppe St Vaast, K.V.Gruppe Cotentin Ost. 8th Kp. II./919 Gren. Regt. Leutnant Dettemer. 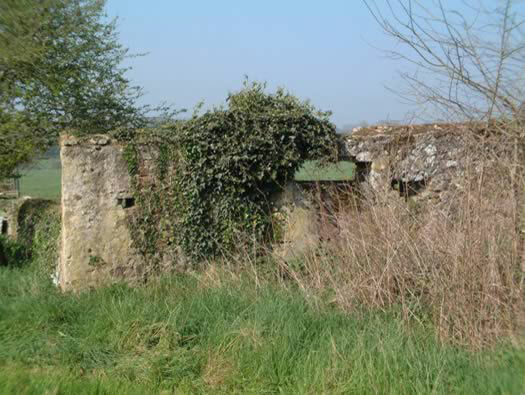 2 x R677 casemate for 8.8cm Pak 43/41. 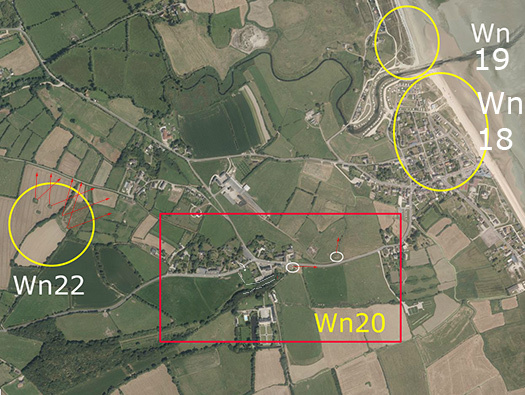 Wn18 & 19 covering the coast, Wn22 a battery of casemated field guns covering the beach and Wn20 making sure the road inland from the beach is covered from a landing and also from an attack from inland covering the valley to the south and the road in from Montebourg. 8.8cm shell and carrying wicker box. Two bunker covering the slope where tanks landing on the sandy beach would naturally head this way after crossing the Sinope River. But actually the 3rd Batt. 39th Inf. were moving up the coast, the 3Batt. 22nd Inf advanced along Quineville Ridge moving east. 36 A-20 bombers went in and bombed the town prior to the advance. K comp. 39Inf managed to enter the town but came under some bitter opposition from the defenders of the beach. Tanks could not advance due to heavy mortar fire. Smoke was sent in onto the town and K Comp. advanced. With that the defenders realised things were hopeless and surrendered. The 1st Batt. 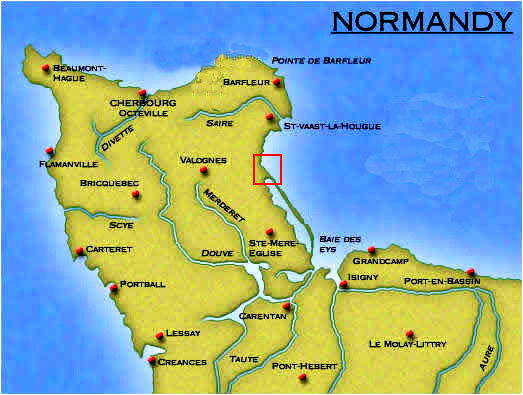 39Inf working north managed to take Fort St Marcouf but lost several men to mines. .
R677 casemate for 8.8cm Pak 43/41. Inside an R677 with gun inside. 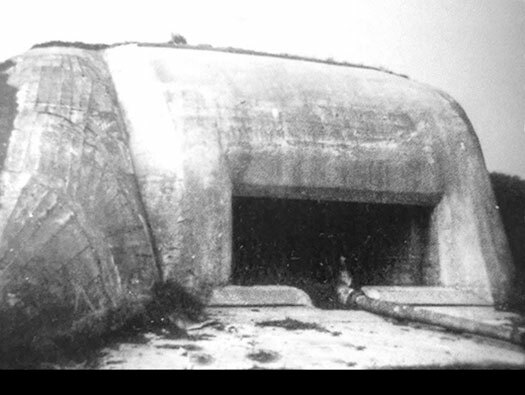 R677 casemate for an 8.8cm 43/41. Still in very good condition I doubt it ever fired in anger as the Americans came in from behind. R677 with an 8.8cm A/T gun in place. 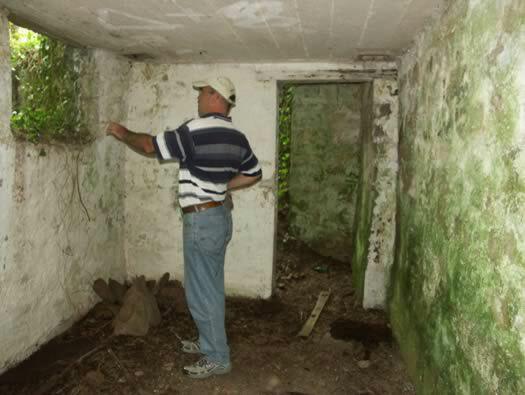 When these pictures were taken the ground had been cleared and we could see inside the casemate. The flat metal plate is an Eisenpfahel barbed wire fence post turned upside down leaving a flat plate to place a directional lamp. Thus at night with total blackout a patrol could find their way around. A German battery lamp of the type that may have been used here. 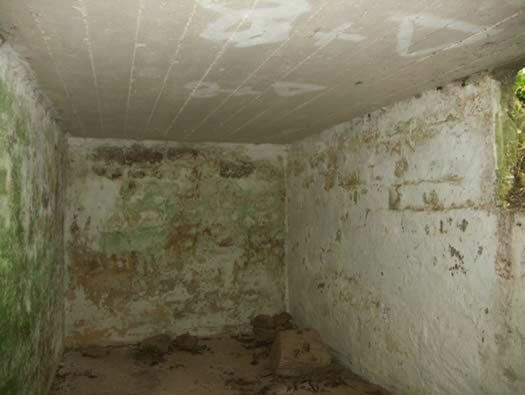 Inside the casemate. The gun would be drawn in through the rear doors and pointed out at the front. The two trails of the gun would fit into slots on the floor either side. 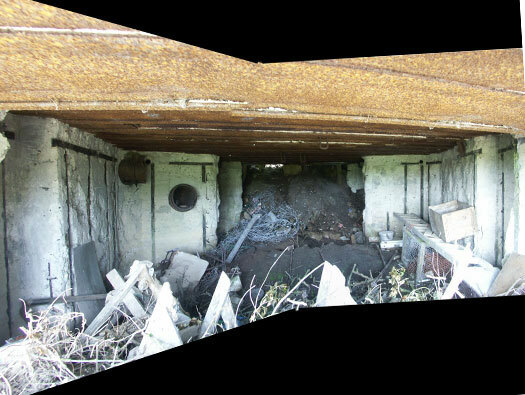 The large round pipes on the left were to remove the foul gases from when the gun fired. A large fan would have fitted between the two pipes. An extractor still in an R669 at Morsalines. This is where the gun would have fired out towards the the sea road. 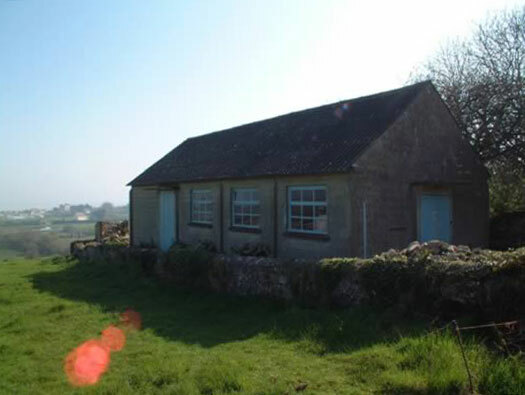 The rear entrance I think now filled in and a car park. 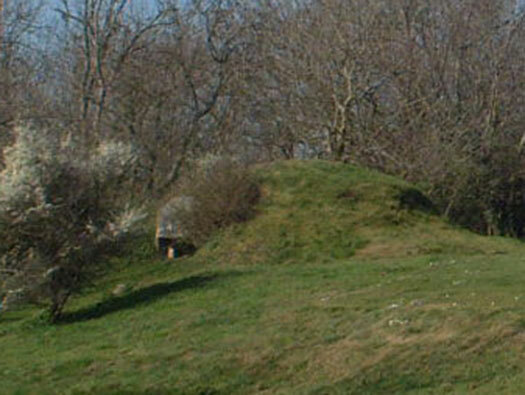 The mound to the left of the church has a Vf/MG 'Pilz' underneath it. 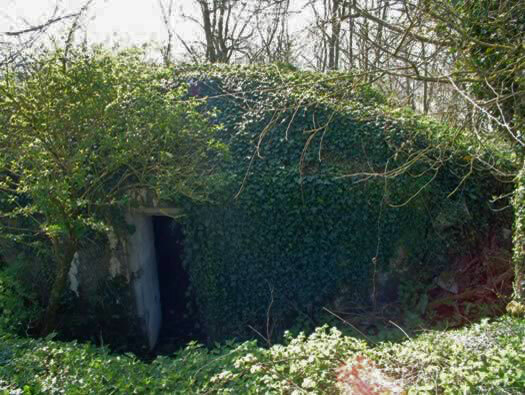 Vf/MG 'Pilz' at 'Mason Rouge'..
A close up of the machine gun opening covering the right flank of Wn21. 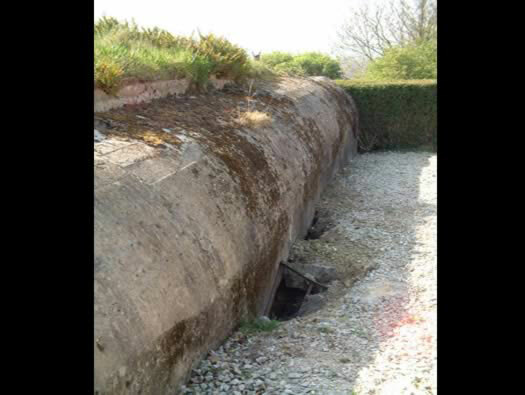 The trench leading into the Vf/MG 'Pilz'. The very well camouflaged entrance. Inside showing the domed roof. Quite small machine gun slot. Some remains we could not understand. 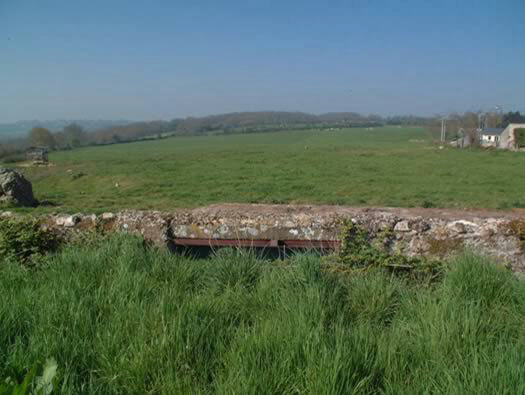 The farmers wall with defending slots for rifle and machine gun. The trench system continues on. 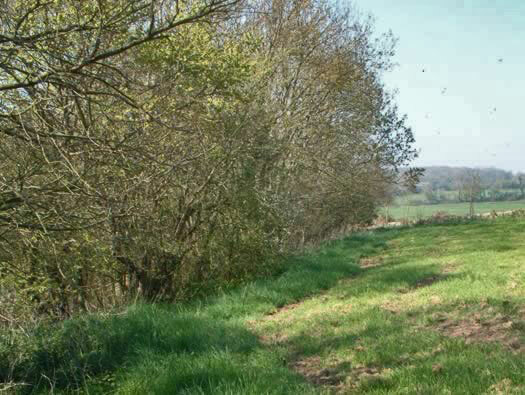 The direction the Americans came into Quineville. 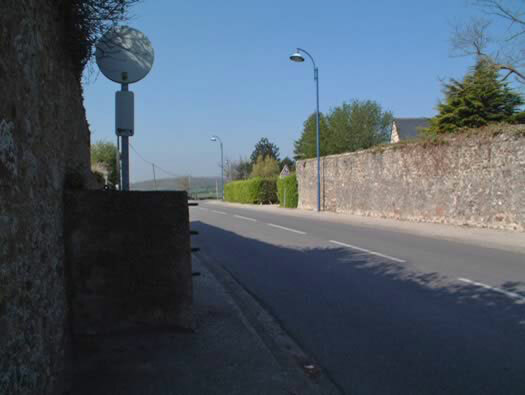 The Americans advanced into Quineville on the 14 June 1944 and they must have had a battle here. 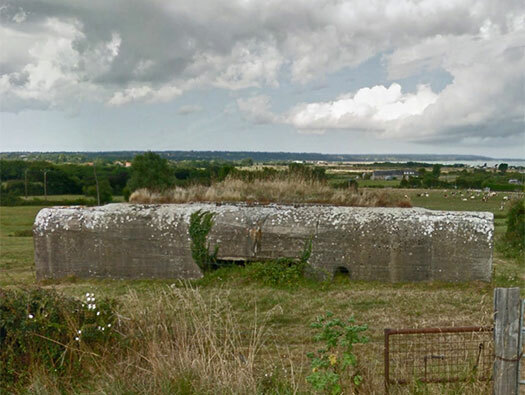 If so I would have thought the 5cm A/T guns position would have been attacked and blown up and the defended wall damages. But we saw no damage. 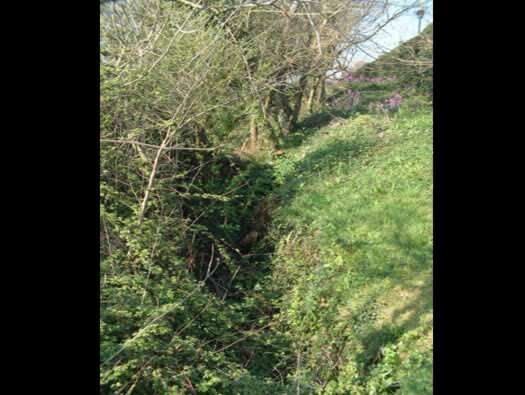 I feel there is more to locate here and it has to be done in the early months of the year when the undergrowth is down and a walk along the trench to its full length may show up more items. The other side of the road would have had another concrete post and a Belgian gate or two (depending on the width of the opening) they can be manoeuvred into position and locked together to block the road. The heavy steel links to a Belgian gate. 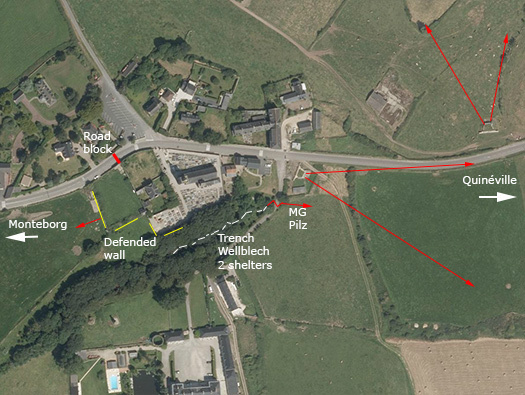 Possible defended wall overlooking Wn18 and Mason Rouge defences.